Place the peeled & chopped mangos, sugar, and water in your blender. Process until you have a fine and smooth texture. Pour in a large pitcher and add the ice cubes. Taste to check sweetness. • I don’t like to use too much sugar, so if you feel like it needs more for your taste, add a few extra tablespoons. 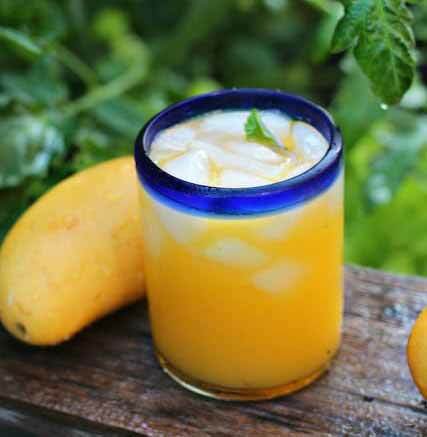 You can use any type of mango for this recipe.